Since 1982 Rising Signs has been committed to producing high-quality architectural sign systems for our customers. 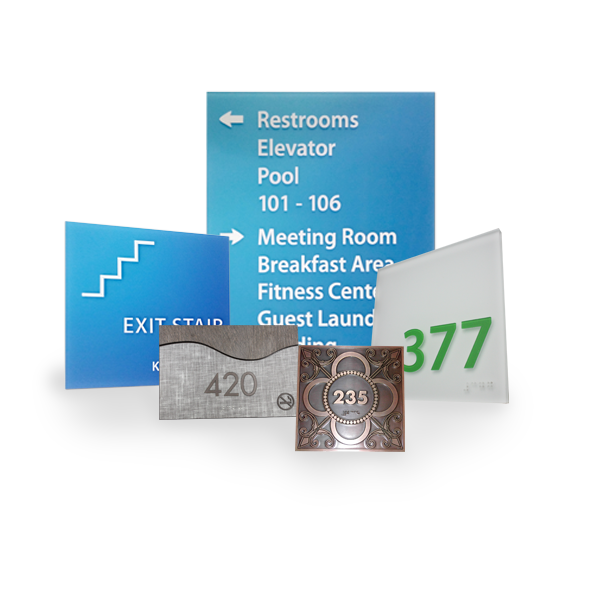 When it comes to hospitality signage we have you covered. Whatever your Brand we do it all. From national chains to resort getaways. Our signs are aesthetically pleasing, conform to ADA specifications, meet national fire & safety codes, communicate effectively and meet brand-specific requirements. We offer sign systems to the hospitality industry for new, renovated and existing hotel properties including ADA upgrade applications. We also have experience dealing with multi-brand properties. Our dedicated team of sales reps are here to help you every step of the way. We guarantee the lowest prices and the best quality! 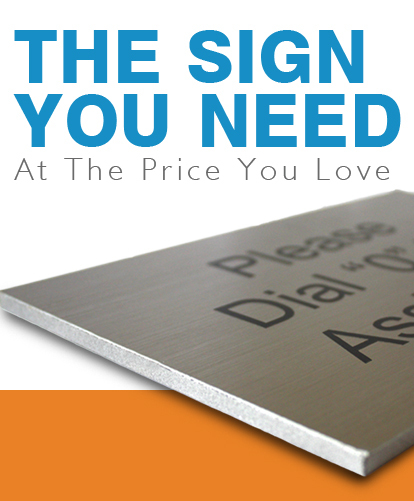 Whether you need signs that are brand specific or something completely unique we can help. We work with you to develop the best sign system for your facility or campus. Our commitment to full service means supporting the customer in every phase of the sign project. From the initial on-site audit to the installation of the last sign, Rising Signs will see the project to completion. Your design information is kept on file for future reference so all future orders match the original package.